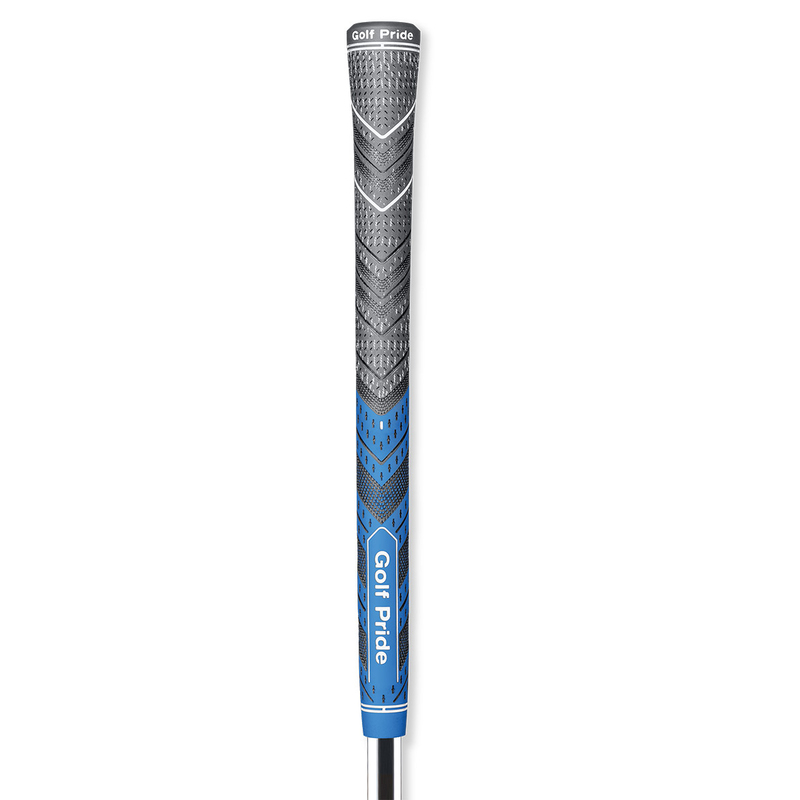 The New Golf Pride MCC Plus4 Grip is a tour-proven, hybrid grip that features a larger lower hand thickness and a new, softer rubber material for fantastic grip and performance. The Golf Pride MCC Plus4 Grip comes with a 4.6% larger lower hand diameter than the Original MCC. The Plus4 promotes a lighter grip pressure, reduced tension in the swing and increased power. The lower hand features a soft, responsive rubber compound ideal for enhanced feel. The upper hand material is a soft compound with Brushed Cotton Cord and new, strategically placed Micro-Texture for downswing stability. The larger lower hand, new softer material and all-weather control deliver new performance options to the #1 Hybrid Grip on Tour.